I do believe the title of this article to be true. In fact I can already feel it happening as I often hear the following mantra, “Piemonte’s the new Tuscany in 2020”. I suggest it’ll happen well before then, albeit in a slow, quiet, organic fashion befitting the the emotional environs of this region. I learned the secret recently if only because it was time for a lifestyle change, it was time to live what many refer to as an ‘authentic life’. After living in the center of so many cities for what felt like forever it was time to settle down, to slow down and have a room with a view to call my very own. And what better place than the northwest Italian countryside surrounded by the Alps. After several trips and sufficient research we found our new home in the province of Asti, full of Piemontese who speak the local dialect most properly, or so I’ve heard through my Limonese in-laws. Our latest address included a couple of hectares, a little piece of vineyard and a long, flat piece of land created by its previous owners; it was now time to claim it; it was time to cultivate my own vegetable garden. Having entered into my 50th year the timing felt right to get back into shape and become self-sufficient. Or at least make an attempt. 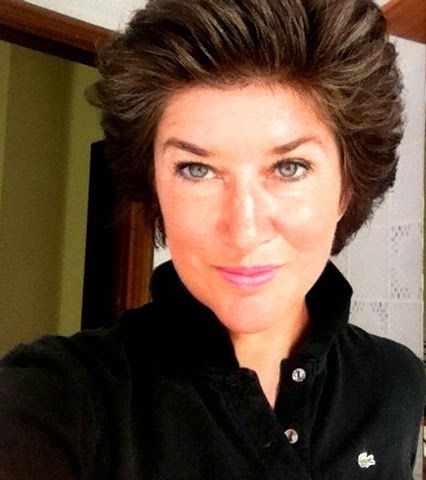 I was a US expat who’d lived a very nomadic life in northern, southern, eastern and western Europe. It was time and I suspected there were few moves left to make, not to mention the fact I was truly tired of packing and unpacking 200 boxes. For several years I lived in Rome, then Paris which proved invaluable as both the Italians and French talk of food constantly; being an American, my culture does not, certainly not on a deep and daily basis. One could even argue there’s a topical, collective concern about how the curtain has dropped between us and where the food comes from, let alone what’s in it. By creating my own garden here in Piemonte I’ve not only managed to develop a direct line I’ve found it’s an absolutely fantastic way to get in really great shape. It does require attention, at least an hour or three per day throughout the spring and summer months; initially this type of exercise becoming intrinsic, and then a natural extension of my daily tasks. Of course, whenever a local stops by I realize I’ve probably spent far more physical effort than necessary but it’s all part of the learning process. And most importantly its now just fun. Then the pay-off; that first burst of deep purple makes itself known before exploding into a ripe eggplant. Then the multiple varieties of tomatoes taking their time along the vine, only to quickly appear, a dozen at a time, ripe, then ready to be eaten or bottled in jars for the winter season. From front to finish the process is rewarding in ways I’d never imagined. The plotting, the planning, lining up the bamboo shoots just right, the hours and days spent weeding and tending to your personal masterpiece. Then pride takes over as it become a labor of love and it begins to respond to you, feeding and loving you back with bundles of fresh lettuce, potatoes, green beans, peppers and herbs; suddenly you’re become so much self-sufficient that you thought possible. I hadn’t a clue as to what I was doing but I just did it. Neighbors and new friends assisted my efforts with advice which was necessary, for me at least, as living in the city tends to strip your mind of simple logic with all its distractions and discombobulated sense of time. The sensation is nothing short of profound; the benefits go far beyond planting a simple seed. I've no idea what my life would be like had we not accepted the call to adventure and sail across the pond aboard our sailboat in 2002. My husband, an Italian, nomadic since childhood, is a serial entrepreneur, an IT consultant who must follow the work; hence the reason for so many moves in the first place. Some of our moves were romantic, others pragmatic, a couple were simply made as if we’d thrown a dart at a map. Yet this final move has proved the most dramatic and fulfilling by far which is helpful as its probably my last. 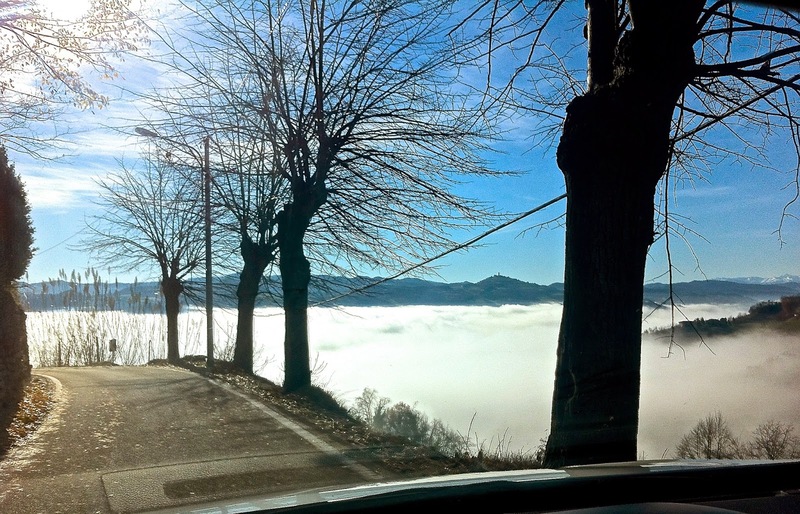 Why Piemonte? We chose to invest in Piemonte because my husband’s family is from Limone, a mountain village and ski resort located about 2 hours from our home, on the border to France. 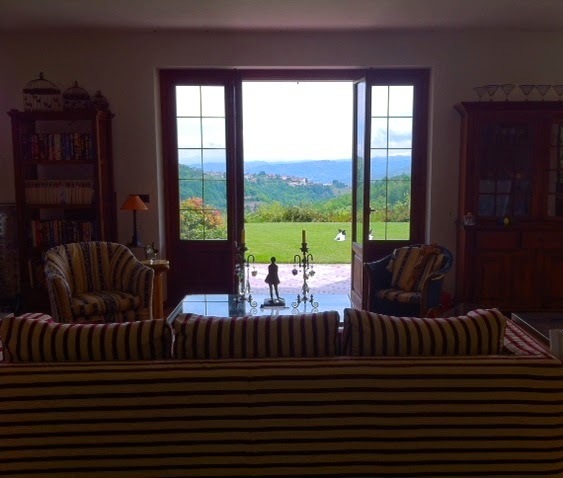 I’d stayed there often but I wasn’t familiar with the portion of Piemonte surrounded by vineyards. The guidebooks wax poetic about the lyrical hills and soft agricultural environs but they can’t really impress how serious the Piemontese are about what they produce. Perhaps this accounts for the high quality. Mountain people are tough, the landscape lends to strength, but they are generous, they’ve created a deep sense of community and I feel as if I’ve been accepted; I feel as if I’ve finally found a home. The local farmers are terrifically focused about their wine, their truffles and their wheat and their rice yet they live life as lightly as any Italian. At least compared to the other tribes I’ve lived amids like the French, Czechs, Romanians and the Dutch. 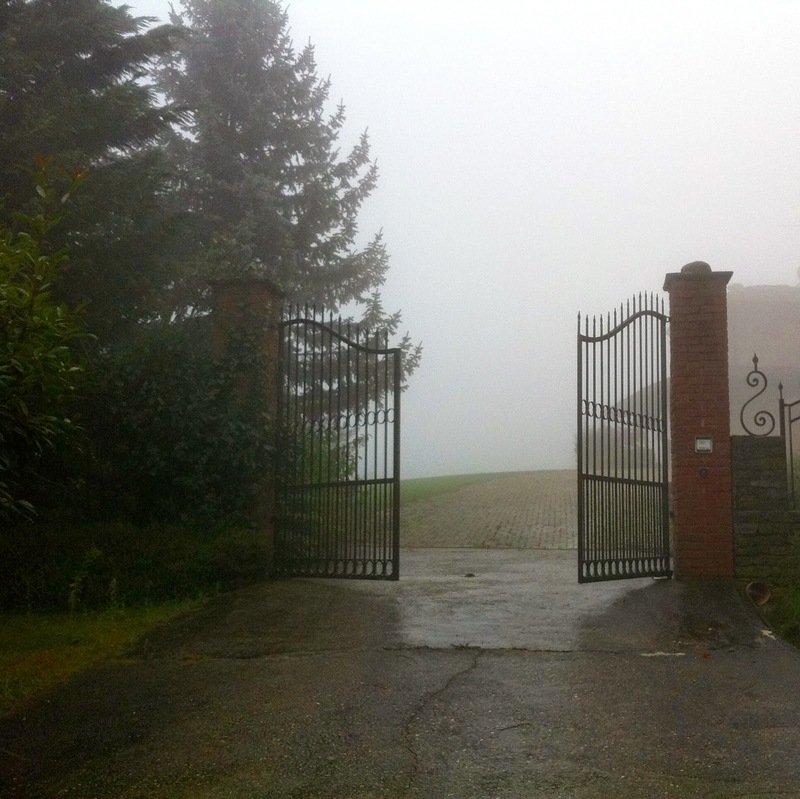 I’ve yet to experience winter here in Piemonte but the Autumn season proves keenly atmospheric with all the nebbia, the heavy fog that floats up to our home only to fade away by the end of the day. I’ve begun to feel as if I live in a gothic novel and I love it as it contrasts so deeply to the lighthearted summer months. You certainly don’t need to live here to cultivate your own garden, but I’m thoroughly convinced just a visit will change your life. As you drive through the medieval towns and imbibe at the family owned vineyards and restaurants you’ll be welcomed in a way I find completely different from Italy’s more famous cities. And it will play with your sense of time. Rome effected my sense of time as it didn’t seem to exist beyond the Eternal’s City’s ancient walls. Rome’s so heavy, both historically and emotionally, and yet more than any other city in which I’ve lived, Piemonte’s impact on my sense of time has been as intense but far more kind. Life slows down and becomes completely about the process. There are fancy restaurants to be found, apparently this place is stuffed with Michelin starred destinations yet everything’s so deceptively simple; everything’s simply that good, everywhere you go. I’m already begun plotting and planning my spring garden for next year even as I live in the present, this place insists that I do. It’s effortless to sit still and appreciate the specific seasons due to the unique micro-climate in the Piemonte region. If you’re looking for an authentic life, for a week or two or perhaps a lifetime, I’m certainly convinced you too will learn the secret that needs to be told, and more importantly; shared. especially on Google+ where you can view her beautiful pictures!